We live in a world where almost everyone is always connected. With just a few finger swipes, we can have access to the vast database of all human knowledge, or we can just text our friends some pictures of cats. Either way, we’re all connected through the internet at some point. Thanks to UC and VoIP technologies, we are even more connected than ever with mobility inspiring powering the biggest workforce trends. We’re also now quickly approaching a world where not only people, but the things we use everyday will also be connected through the internet. We’ve all probably heard of the Internet of Things at this point, but our experience ends at smart TVs and refrigerators that let us tweet from them. Our current IoT tech is really only scratching at the surface of what this concept is all about, and adoption will rise as tech meets the demand. On the surface, UC and VoIP seem completely different islands from IoT, but in reality the marriage of these two technologies will bring about a tremendous amount of value to almost any business. Believe it or not, IoT is not an incredibly new concept. With humble beginnings back in the 80’s, thee term was originally coined back in 1999, but the concept is just now making its way into our daily lives. As a fairly self-explanatory concept, the Internet of Things stays true to what its name states. The concept is simply connecting all of our devices to the internet so they can speak to each other. 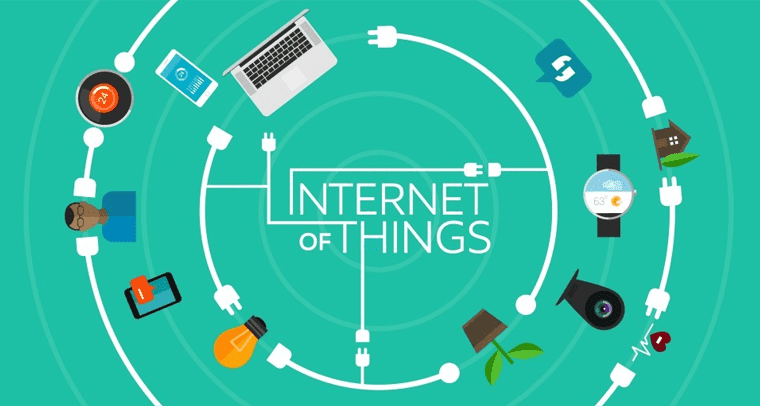 The Internet of Things connects all of our objects, devices and technology to the internet, capable of collecting and sharing data to provide entirely new insights. 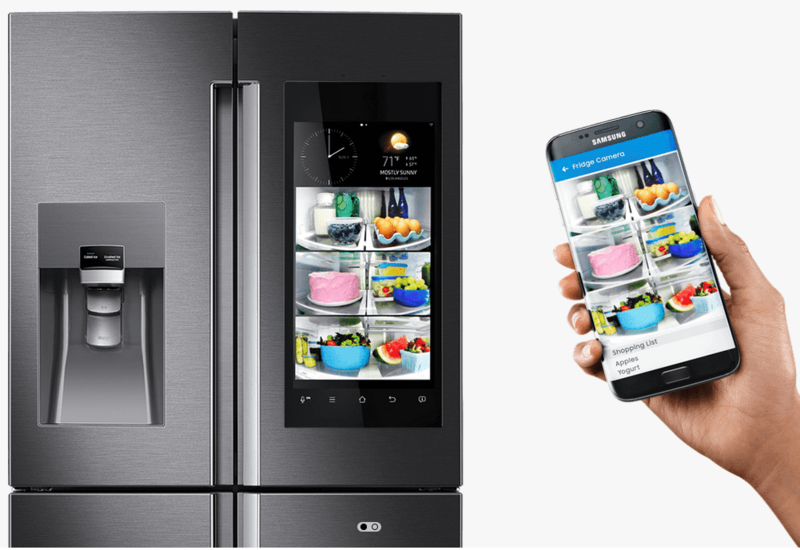 That refrigerator that can join your Wi-Fi network is a prime example of IoT in our daily lives. Now, I joke that this refrigerator can tweet to your friends when you’re out of milk, but some of the big benefits are actual real world problem solving. For example, a line of Samsung refrigerators are equipped with cameras inside. Every time you open and close your fridge, the three cameras take a picture of the inside and contents of your fridge, which can be sent directly to your smart phone. The idea is you’ll have instant access to what’s in your fridge, so when you’re shopping you’ll never forget to grab more eggs. 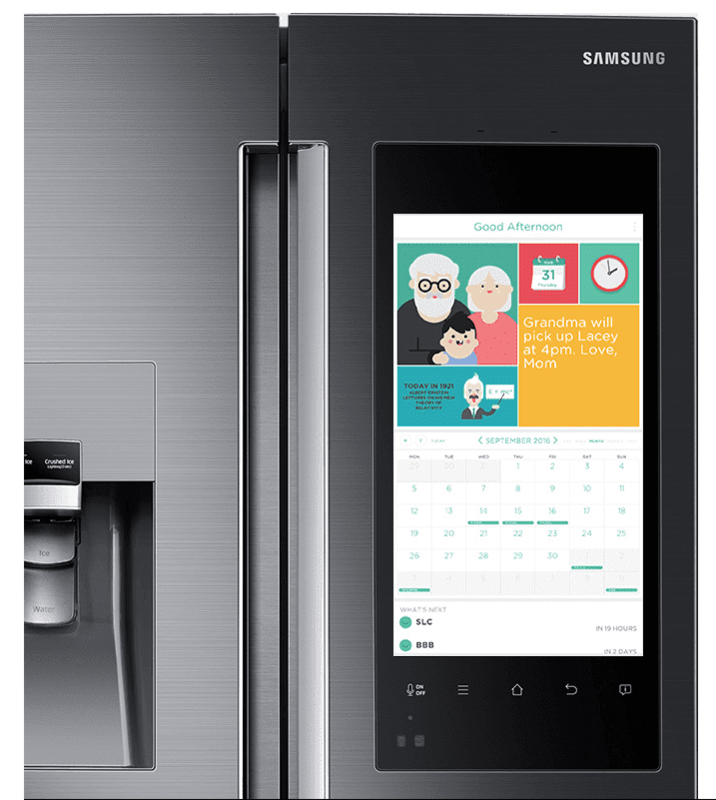 This same fridge also sports a family calendar function that can sync to everyone’s smart phone — a great way to keep family in the loop about birthdays or upcoming events. But this same exact concept can apply directly into the way we work. IoT connecting all of the things we’re already using, and constructing a seamless flow of information, will make our lives easier. This information will allow us to stay informed, make better decisions, and even fix problems as soon as they arise. At home, IoT can make us more comfortable; however, at work, IoT can make us more productive, informed, and help us work smarter rather than harder. When we think of modern technology in the business world, some of the first concepts that come to mind might be Unified Communications, Cloud Computing, Collaboration, and Automation. Well, IoT should be in that list as well because, like it or not, each one of these concepts are pushing hard into the mainstream and drastically changing the way we work. IoT might be a bit behind, but will be right up there very soon. 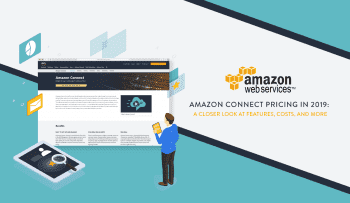 The key in all of this modern tech is the seamless connection, or integration, of solutions. UC and Collaboration are melding into one, which is all made possible thanks to the Cloud. IoT will also leverage the Cloud, but utilize UC and to help produce more meaningful collaboration. UC is simply a step to help push IoT into adoption. Without a proper UC platform to help share all the information, IoT would be as useful as a massive Excel database. We need tools to help share, and make sense of this data. In short, the combination of IoT and UC will enable a seamless flow of information, data, and intelligence between the devices we’re already using everyday through mobile, agile, and always-connected Unified Communications. How Will We Even Use IoT? 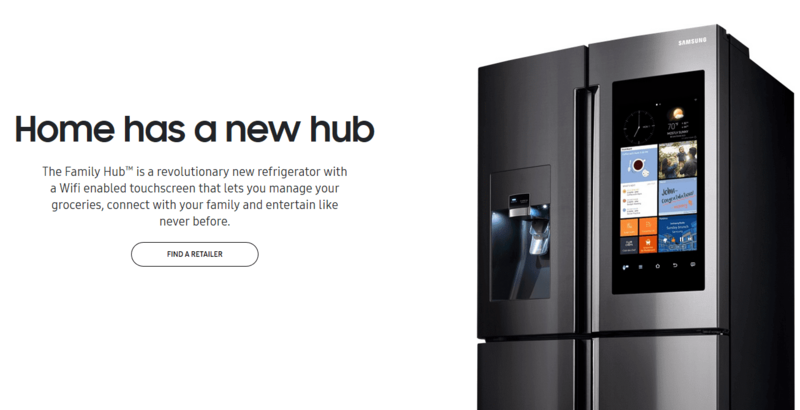 You may already have formed a pretty good idea of how IoT fit into our work just based on the refrigerator example. And while I don’t think we’ll end up using the break room fridge as an office calendar, the same concept applies. However, it goes even further than an automatically synced calendar and helpful reminders. I mean, we can do that already with existing apps, and even Slack has some great power-user features that help us stay connected. Powered by popular UC and Team Messaging apps, IoT will leverage a massive feature list to have a much bigger impact on our work. Just to give you a brief idea, we wanted to outline some expected use cases. The concept of big data is pretty key to a lot of new technological developments. We collect so much information in our daily lives, or at least have the ability to do so. Utilizing massive data sets, businesses can optimize and improve systems, boost performance and productivity, and drive more engaging customer experiences. This is where the power and core concept of IoT can really shine. An assembly line in a factory is a popular example. On the assembly line, there will generally be multiple stations that the product passes through for different stages of assembly. If each one of these stages is equipped with a sensor, these sensors could measure different parameters, such as the time taken to complete at ask, resources used and wasted, and overall productivity output. Throw AI into the mix with IoT, and you now have a self-learning system that can improve your work flow. Without any human intervention, a fully automated IoT system would constantly track, record, and analyze data to help improve processes and reduce waste. UC would then offer a vehicle for delivery of this information. 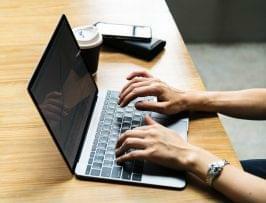 For example, sensors could be setup to dump information directly into a Slack Channel, or Cisco Spark room for teams to easily access and read all the information collected. Live video feeds can also stream directly into these apps if cameras are equipped near sensors. Put simply, every contact center should be utilizing big data to optimize their customer experience. IoT can of course help collect this big data, and could improve the customer service a business is able to provide. Whether this relates to sensors around a retail store or supplying information to managers on what customers are doing, such as how long they browse in certain sections or ignore certain displays. If you wanted to get even creepier: what if the next time your car needed service, it didn’t give you that stupid check engine light on the dash, but instead you received a call from your dealership? Sensors all around different systems that make up a car (drive line, suspension, fuel, etc.) could inform technicians when a problem arises, much like our previous factory example. Alternatively, users could be provided a complimentary app that receives all this information to quell privacy concerns. Or, again utilizing a popular UC app, new powerful messaging standards like RCS or even just WebRTC, customer service can directly interact and start a conversation with users. If the device is something like a smart fridge with a screen on it, this could even happen right on the device itself. So IoT could definitely help take the omnichannel experience even further. Going back to our factory assembly line, the same IoT sensors that we’re using to help monitor and improve efficiency can also be used to improve your business’ reactivity. Sensors could be used to read different variables, like temperature or pressure levels, throughout every system of an assembly line. Again, information can then be streamed directly to a channel or room for admins to monitor using a popular UC app like Slack or Spark. If anything starts to creep up — say, one sensor notices the temperature beginning to rise slightly above accepted levels — then an immediate alert could be broadcasted throughout your UC app to inform every single responsible party. There are multiple benefits to this approach. Firstly, your business can gain instant information. Secondly, when things begin to go wrong, your team will know exactly what went wrong and where. One of the biggest time sinks in recovering from an interruption to service is diagnosing what even went wrong. When it comes to problems in a car, sometimes the most difficult aspect is the diagnosis, what with all of its many moving parts. Who knows — maybe even Chatbots can be thrown into the mix. Sensors all around every system, providing constant information and alerts, will help narrow down the search and allow us to understand what went wrong and where. Bringing this back to UC and VoIP specifically, we will see a lot of new functions and features popping up. The concept of mobility and constant connectivity is one of the main driving processes behind UC. All of our systems are connected so that we’re always connected. It’s part of why team messaging solutions have taken off so well. We can always access our conversations with persistent chat, and even if we’re on the go, the context and content never changes. Persistent messaging offers a huge benefit to productivity. IoT can really help us stay connected in even more ways than before. Messaging: Just by simply connecting our smartphone to our IP desk phone, we can receive texts and voicemails on our desk phones, or even in email. Of course, voicemail to email already exists, but IoT will let us connect two previously unconnected devices: a personal smart phone and an IP Phone. 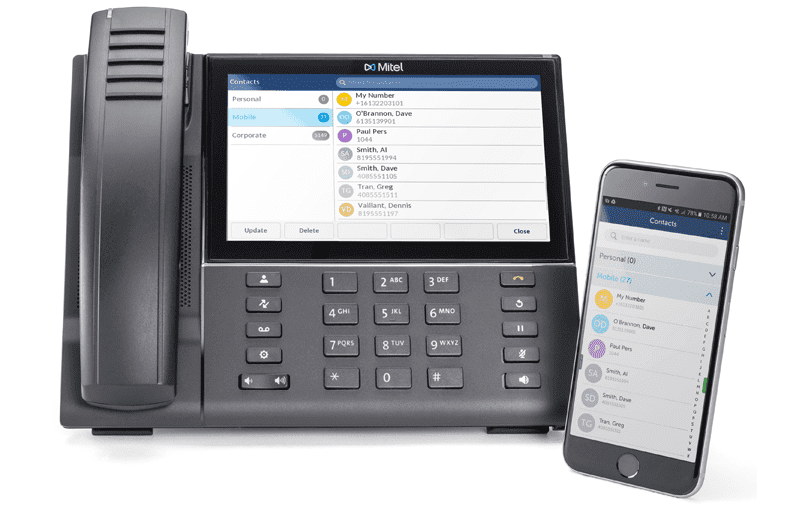 In fact, Mitel pretty much already did this by introducing a desk phone that supports smartphone integration. This is also a huge plus of any business with a BYoD policy. Calendars: A little different from our smart fridge example, but IoT could allow us to connect our online calendar solutions with our IP or Conference Phones. Instead of digging through the event information or your email to find a dial in number, integrating our calendars and desk phones could allow us to find a “click to call in” prompt as soon as the meeting begins. As promising as this all sounds, right now we’re held back by a lot more than just the technology to drive IoT. In fact, the technology itself really isn’t the hard part, although implementation might be a big step to take. Much like BYoD in 2017, the concept is a very good one, but certain protocols and procedures need to be followed to stay secure. Really, though, the biggest concern surrounding IoT is the fact that it’s really just one massive security nightmare. As I’ve wrote in the past on VoIP security, every single connection to a network is just like another door into that network. Thus, every phone, computer, router, switch, modem, smart TV, smart fridge, smart sensor — whatever it is — that’s connected to your network could be a huge gaping hole into your network. The fact of the matter is, not many IoT devices really care at all about security. Security is a very interesting topic with many specific caveats, but one basic idea remains: it’s important, and it needs to be considered from the foundation. An app really needs to be designed with security from the ground up, or else security measures will end up as a Band-Aid slapped over a bleeding gash. “As we increasingly integrate network connections into our nation’s critical infrastructure, important processes that once were performed manually (and thus enjoyed a measure of immunity against malicious cyber activity) are now vulnerable to cyber threats. Our increasing national dependence on network-connected technologies has grown faster than the means to secure it. Just a quick Google search of IoT security will result in a litany of reports outlining the need and failure to deliver. One popular example to point to is when hackers broke into Target’s database through their HVAC company. (Yeah, sensors in AC units allowed hackers to gain access to an insane number of credit card and other personal information.) 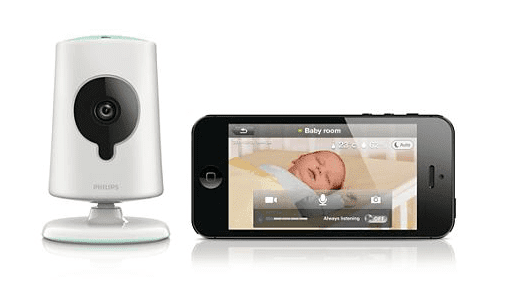 Even baby monitors can be hacked and used as surveillance devices. We also recently heard that the CIA has hacked Samsung’s Smart TVs to listen to conversations happening in normal living rooms. Now, this is crossing into 1984 territory, but the threats are very real. If we want IoT to benefit the world in the way it should, security has to be addressed, and it has to be addressed as a top priority.